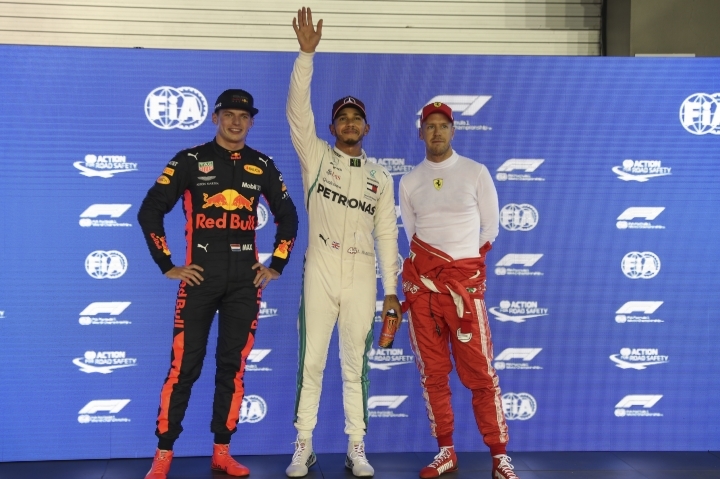 SINGAPORE — Lewis Hamilton surprised himself by finding perfect lines to take pole position at the Singapore Grand Prix, while title rival Sebastian Vettel had to settle for third on Saturday. Hamilton produced something special to set a blistering time in his Mercedes and beat Red Bull's Max Verstappen by .3 seconds and Vettel by .6. 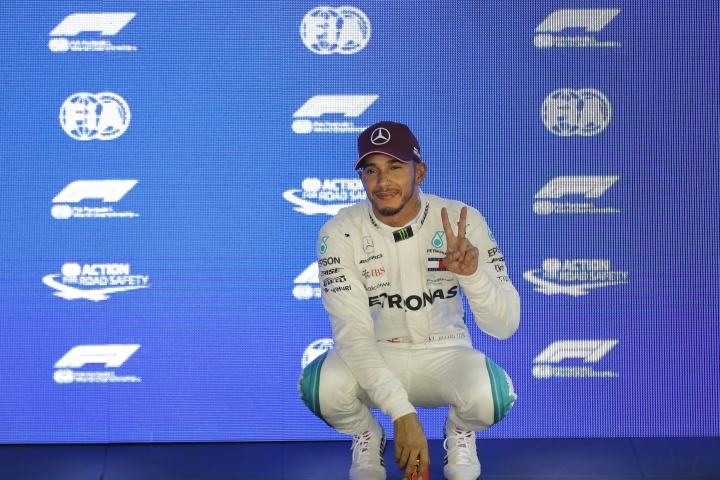 In doing so, Hamilton secured a record-extending 79th pole in Formula One and 200th for a British driver. "My heart's racing, I'm having an anxiety attack," Hamilton said, letting out a laugh of relief. "I don't know where it came from but it all came together. "I don't think there was a moment in the lap that was wide. It was perfectly on the limit, it felt like one of the best laps (I've done). I managed to maximize on every corner." 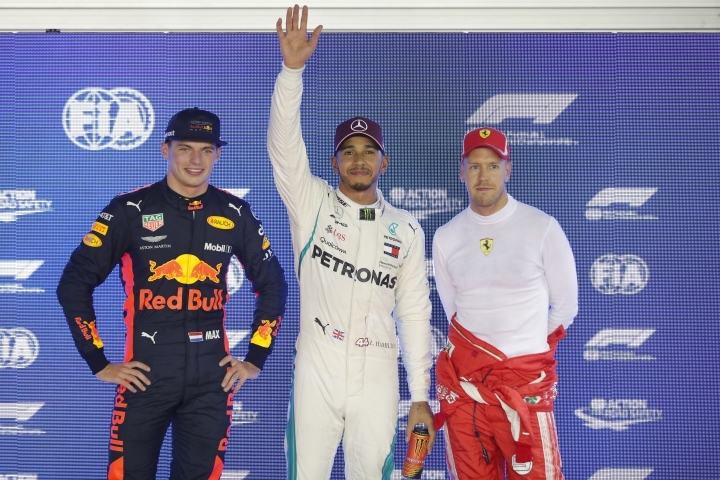 Verstappen drove equally impressively but the 20-year-old Dutchman missed out on being the youngest ever driver to secure pole. He also started from second last year. "It was a great qualifying," said Verstappen, the youngest driver to win an F1 race when he was 18. "It's the best I've ever done in F1. I can be very happy with it." 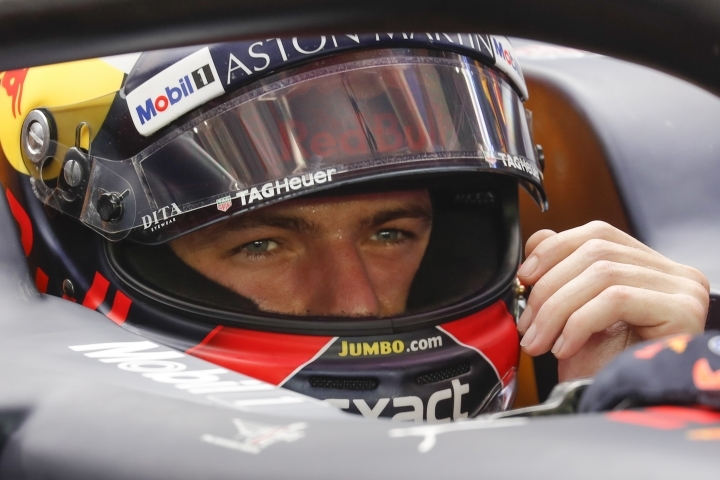 It was quite a transformation in mood for Verstappen, who during third practice (P3) earlier in the evening ranted — once again — on team radio about the unreliability of his Renault engine. "Honestly, this feels like a victory. From FP3 onwards I was shaking with anger and now I'm shaking with happiness. When I saw second on the board I was surprised, with all the issues I've been having." 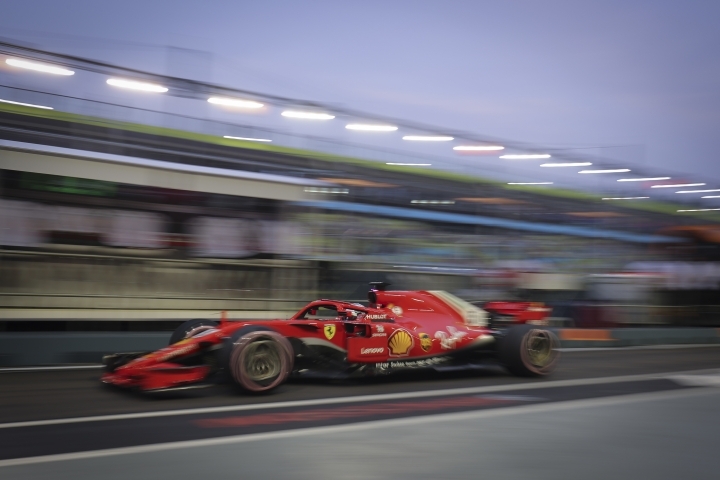 Ferrari looked strong in practice on the sinewy five-kilometer (three-mile) Marina Bay track. Vettel was fastest in the third and final practice ahead of teammate Kimi Raikkonen, and Ferrari did not see this setback coming. Raikkonen was only fifth, behind the Mercedes of Valtteri Bottas. "Not ideal, we wanted to get pole," Vettel said. "There was too much time missing." Last year, Vettel started from pole here and was perfectly poised to reclaim the championship lead from Hamilton. However, he crashed heading into the first turn, taking out Verstappen, Raikkonen, and Fernando Alonso with him. This time, Vettel is 30 points behind Hamilton and racing on a track where seven of the past 10 races have been won from pole. After Singapore, there are only six races left, and the German driver cannot afford to fall further behind. Hamilton struggled here in qualifying last year, placing only fifth, but took advantage of Vettel's clumsy crash to win and take control of the title race. Hamilton was not expecting to start from first place this time, either. "It's the most challenging track of the year for us. I was a bit nervous going into qualifying," he said. "We knew the Ferraris and the Red Bulls would be hard to beat, so this is an incredible result for us." Qualifying is split into three sections — Q1, Q2 and Q3 — with five drivers eliminated in the first two leaving 10 fighting for pole. 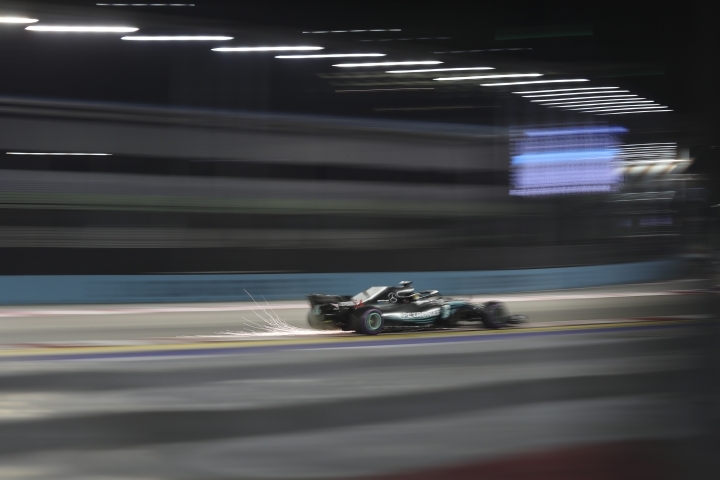 Hamilton had a scare in Q1 when he struggled on slower tires and was only 14th fastest — only just scraping into Q2. "I was a little bit concerned," he said. Ferrari has all the worrying to do now. "Other people did a better job," a despondent Vettel said, appearing to question his team's decision-making.